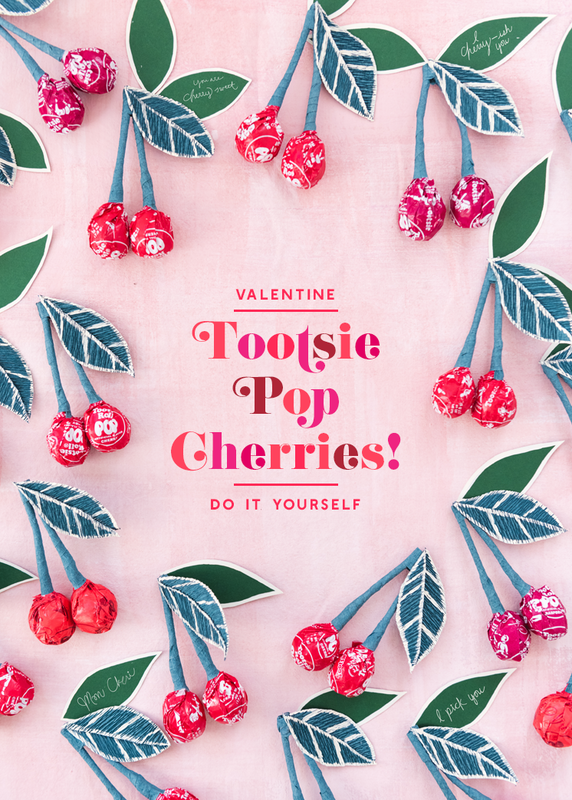 Cut 1/4-inch thick strips of crepe paper, perpendicular to the grain, and stretch them out to smooth out the ridges and lengthen the strip. Hot glue the end of the strip to the base of the lollipop and wrap around the stick to cover it completely. Secure it with glue at the end and rip off the rest. 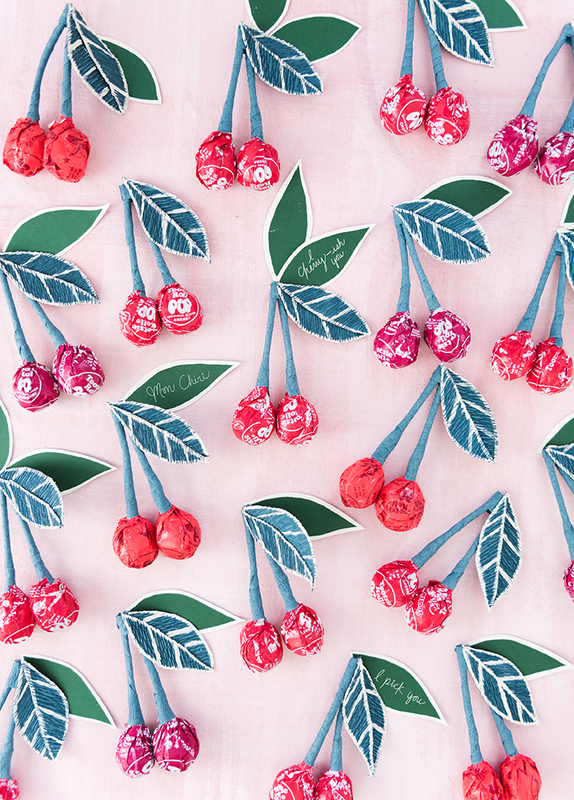 Repeat for a second cherry or leave it as a single cherry stem. 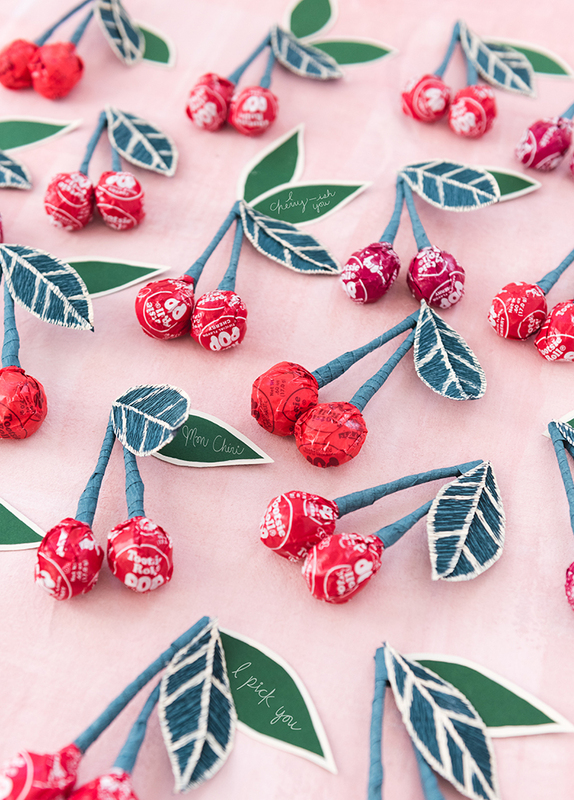 Wrap two cherries together at the top with the crepe paper strip and secure with glue. Using the leaf template provided, cut two halves of the leaf from green crepe paper and glue them together by overlapping the center seam just slightly. 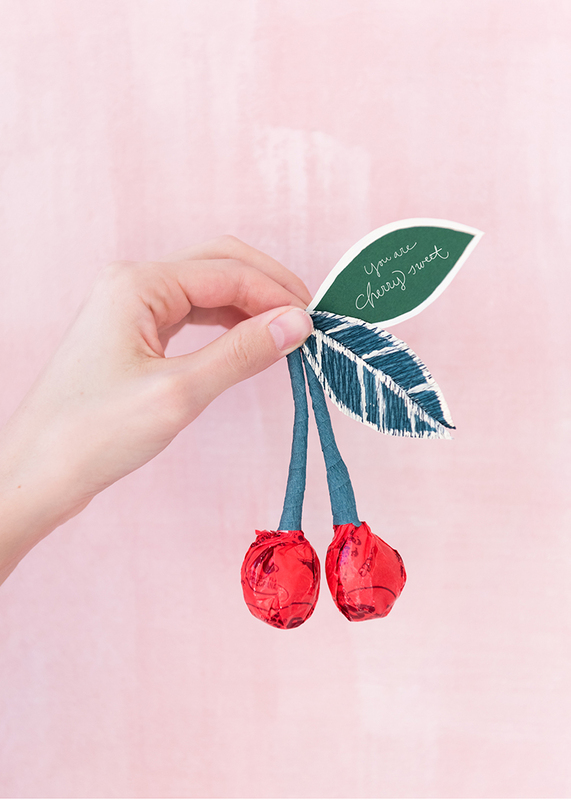 Use the full leaf template to cut out the same leaf shape from cardstock. Outline both leaves in white paint and paint veins on the crepe paper leaf. 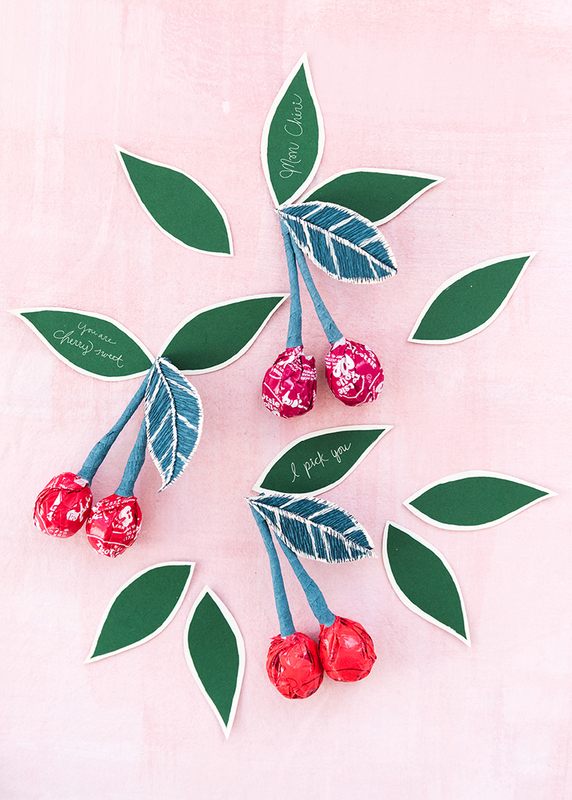 For the plain leaf, use a white paint pen to write the name of the recipient and a little love note!